Soccer is on a lot of people’s minds right now. Well, admittedly maybe not quite as many as if their home XI had made the big tournament. Actually, as it turns out, Fort Worth soccer fans do have a team in the knockout stages. 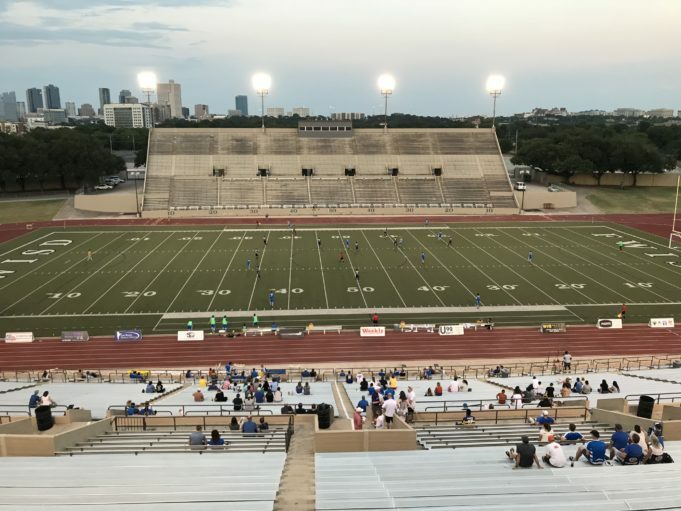 In fact, after Saturday’s World Cup quarterfinals concluded, Cowtowners had the opportunity to see the Fort Worth Vaqueros host the Brownsville FC Coyotes at Farrington Field. They even played the American national anthem before the game. If you attended, you’d have watched the two squads play on a pitch adorned with American football markings as opposed to a shiny custom-built Russian facility. You’d have seen a Brownsville team with nobody on the subs bench. And you wouldn’t have recognized names you’d heard on Fox Sports or ESPN. But you would have seen some skillful young players. You’d have seen the Vaqueros compete hard, giving an effort befitting a knockout-stage match. And you’d have seen the home side emerge with a 5-0 win. Of course, like most soccer devotees, Lovegrove paid attention to more than just the Vaqueros’ contest this weekend. He hails from Crawley, England, and enjoyed seeing his national side defeat Sweden to move into the World Cup semis. He hopes for a repeat this coming Wednesday, when England’s match will again precede his own. American soccer fans don’t have that option because the USA didn’t qualify for the World Cup. But if you live in Fort Worth and you’re sports-minded, you can always adopt the Vaqueros. They’re your team, and they’ll become even more homegrown as the fifth-year franchise matures. They’ve started an academy and will feed local players through their system. And you won’t have to wait another four years for them to (hopefully) play for a title. 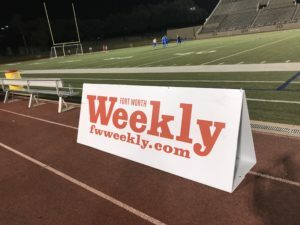 The Vaqueros are clearly the Fort Worth Weekly’s hometown team.